The International Institute of New England has been welcoming refugees and immigrants to Massachusetts and New Hampshire for nearly a century. Our movement began in 1910 when the Young Women’s Christian Association (YWCA) created the Department of Immigration and Foreign Communities to oversee field projects called “International Institutes” to serve the nation’s growing foreign-born population. The Institutes offered multilingual social services for women and girls and became known as Red Feather Agencies. 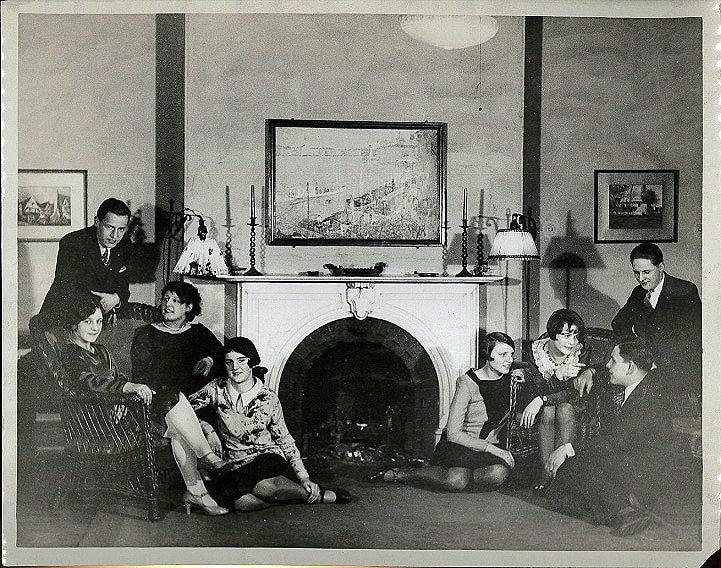 A group of folks at an International Institute of New England Party in 1929.
was established at the YWCA then located at 12 Newbury Street. 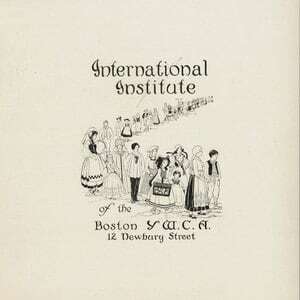 The Institutes separated from the YWCA in 1935, and over the ensuing decades hundreds of community groups, individuals, corporations, and foundations joined forces with the International Institute to help new Americans integrate into New England. The International Institute of New Hampshire was founded in 1994 as a reorganization, continuation, and expansion of existing services in place since 1987. In 2001 the three sites became one consolidated organization – The International Institute of New England. 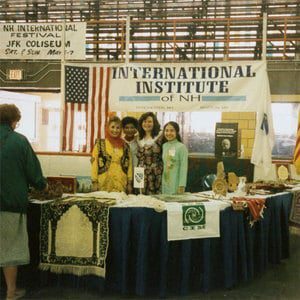 Throughout our ten decades of service to New England, thousands of new Americans connected to the International Institute to learn English, meet other new Americans, learn about the culture of their new country, gain job skills, and receive assistance in finding employment. Historically and today, we work with local communities to help refugees and immigrants find places to settle and restart their lives. Our history has paralleled the immigrant journey in America. In the first half of the 20th century, we welcomed and served many people from Europe. In the 1970s the rise of the Khmer Rouge and fall of Saigon brought thousands of people from Cambodia and Vietnam to Lowell and Boston, where they were welcomed by our staff. In the 1990s, Bosnian refugees, Kurds fleeing Iraq, and Kosovars fleeing Serbian aggression came to our doors, and in the 21st century we have welcomed and aided people from Iraq, Afghanistan, Bhutan, Somalia, the Democratic Republic of Congo, other countries in Africa, South and Southeast Asia, and the nations of Central America. In 2018, The International Institute of New England offered humanitarian relief, English language learning, employment, skills training, and citizenship programs to more than 1,799 people from 66 different countries. 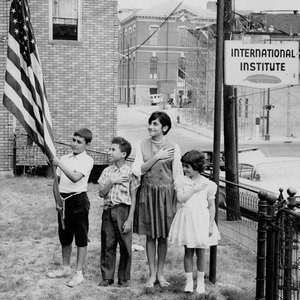 From its beginning to the present, the International Institute of New England has helped thousands of immigrants with specialized services, assisted each new wave of refugees from all over the world, and served as a center of hospitality for many ethnic groups. The Institute has also invested in the revitalization of local communities throughout New England by receiving, supporting, educating, training, and job placing an ambitious and diverse workforce. With continued partnership from community groups and philanthropists throughout New England, the Institute will continue this service for the next 100 years and beyond.